Probably the most important reason that I use an L-bracket, is that it keeps the optical centre of the lens over the centre of the ball-head. This increases stability but also makes panoramic stitching that much easier. When shooting panoramic, it is usually recommended to shoot in the vertical format as it gives more sky and foreground information that can subsequently be cropped in post. When the vertical notch of the tripod is used it places the optical centre of the lens away from the rotation axis of the tripod head, making the resultant panoramic harder to stitch together. Finally, the L-plate gives the added advantage of protection of the camera’s electronic ports when shooting tethered. It isn’t an intended benefit, but I far prefer having the L-plate on when I have cables attached to the camera’s HDMI and USB ports. The downside to using an L-plate is that it adds weight and bulk to the camera. If you are using a pro-level camera like a Nikon D5 or similarly sized body, you might not notice the difference, but on a camera like a Canon 5D or even a Sony A7, the difference can be quite obvious. This is especially the case when you are trying to slide the camera with the attached plate into a camera bag. Suddenly the space into which the camera has to fit can seem that much smaller. In terms of weight, a Sirui L-plate designed for the Nikon D850 weights 115grams. This certainly isn’t a lot, but the bog standard Sirui plate that comes with every ball head only weights 41grams, and it doesn’t change the dimensions of the camera in any meaningful way. Personally I think the added weight and bulk is a price worth paying for the convenience of quick orientation changes, increased stability, easier tripod use and far better alignment for panoramic photography. It’s Just a Piece of Metal Surely? Most photographers I have spoken to who have not used an L-plate tend to exclaim out loud when I mention the price of an L-plate. Originally I was also put off by what I saw as a hefty price tag for something that is literally, ‘just a bit of metal’. 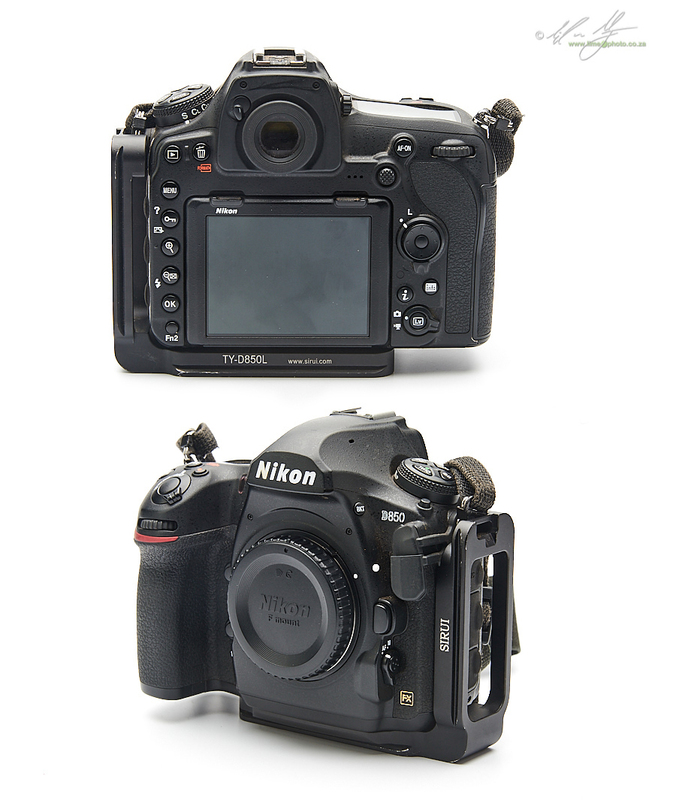 To whit, the RRS (Really Right Stuff), ultralight L-plate for the Nikon D850 costs US$140. The Kirk L-plate for the same camera is US$5 more. Even Three-Legged Thing’s universal QR11 L-plate is US$50, (here’s a handy hint, buy it from the US as it costs £50 in the UK-the same country it supposedly originates from). If you happen to be buying in South Africa you can slap a hefty import charge onto all of these items. 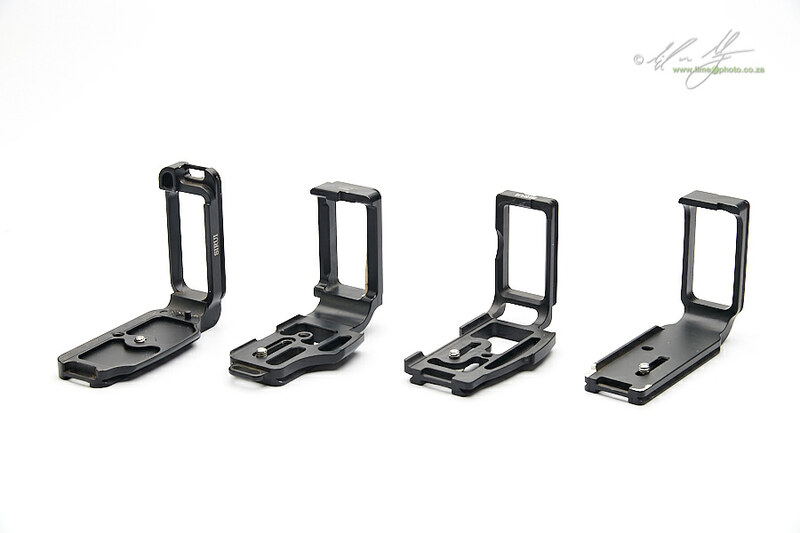 The Kirk L-bracket for the D850 is roughly R3000 (‘For a bit of metal?!?!? !’ I hear you wail). Danny Lenihan, CEO at Three Legged Thing wrote a piece last year bemoaning how photographers are killing the accessories industry, by buying cheap Chinese knockoffs of accessories like L-plates (You can read the full article on this link). He was commenting on the fact that some forums had been complaining that Three-Legged Thing’s QR11 universal L-plate was $50, compared to the eBay versions which sell for as little as $7. He argues that the eBay specials are of inferior quality, have not been properly researched and designed, have been inadequately marketed and packaged and are definitely produced to inferior factory standards, compared to the likes of established brick and mortar brands like Three-Legged Thing and RRS. He makes valid points, and points with which I agree, but I have to admit that I am left with a sour taste in my mouth when I am confronted with having to pay up to R3000 ‘for a bit of metal’. My first L-plate was a Kirk manufactured plate for the Nikon D800. It has pretty much remained glued to my D800 body since the day I bought it. As mentioned above, I consider the L-plate to be an almost vital piece of equipment for the work that I do. So, when I bought my D850 body earlier this year I was casting about for a plate for the new camera. At the time there was little available in South Africa, so I experimented with an eBay ‘special’ for the paltry sum, in comparison to the known brands, of R275 (approximately US$ 20 at the time) including postage. When I found and paid for the plate, I was under the impression that it was a Sunwayfoto plate. Sunwayfoto is a recognized Chinese brand that does in fact produce decent quality photographic accessories that are not direct clones of their American and European counterparts. Unfortunately, my plate turned out to not be a Sunwayfoto plate, but rather a clone of the Sunwayfoto L-bracket for the D850. Very briefly, the no-name-brand plate does what it is supposed to do. However, when it arrived it didn’t actually fit the camera properly. Firstly, the allen-key driven nut was too long for the camera’s female thread. The result was that the plate could not be tightened to the base of the camera. If I had attempted to tighten it, I would have eventually damaged the camera. I had to replace this with a spare from a different plate. Secondly; although the plate has all the necessary curves and such, to snugly fit the bottom of the camera body, I actually had to file away the end of one of the curves for the plate to fit properly. Had I not done this, the tightening of the plate to the body would have damaged the edge of the tilting LCD! Thirdly, out of the box (or packet), the L-portion of the bracket does not rest against any portion of the camera’s side. This wouldn’t be a problem but for the fact that, finally, the plate was made from inferior metal that literally flexes and is not rigid. Admittedly, I have managed to modify the plate so that it now does rest against an edge of the camera and no longer flexes as a result. The point though, is that you very definitely get what you pay for. I paid an extremely low price for the generic L-plate, and received an inferior product as a result. It is useable though – I have to give it that – but there is no way I would recommend it as a product. Still, does that mean the only option is to pay what I still see as an exorbitant amount of money for 'a bit of metal’? I was recently given the opportunity to test out Sirui’s new R-2214x tripod while leading a workshop in Madagascar (short answer: I love it–review coming shortly). The folks at the Sunshine Company who loaned me the tripod asked whether I wouldn’t mind using the Sirui L-bracket at the same time. Is the Pope Catholic? Of course I wouldn’t mind! Cheekily, I then mentioned that I was still using the D800, and would they mind sending me a D800 plate as well so I could compare it to the Kirk plate that I already have (no, unfortunately I don’t get to keep everything they send me - I sadly have to package everything up and send it back, often with the courier guy having to pry it from my fingers to do so). Let’s start with the packaging. Sirui’s packaging is always excellent. The plate arrived in a hard cardboard box nestled inside dense cut white foam with an allen-key for securing the attaching nut, (expect a plastic bag and no Allen-key if you go the eBay route). The plate has a matt black anodised finish. It isn’t exactly scratch proof, but it is definitely hardy. Of the two plates, I preferred the TY-D800L which seems to have been refined over the years with cutouts to reduce the weight and an overall smaller and neater profile. I suspect that with time the TY-D850L will probably lose weight as Sirui continue to refine their design. 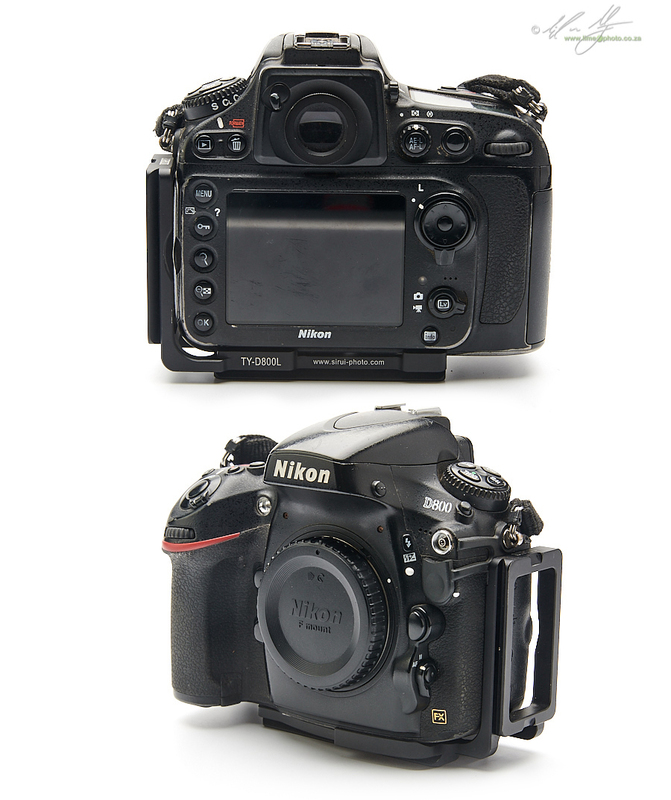 The D800’s plate has curved edges, or lips, front and back to keep the body completely locked and immovable on the plate. The D850’s plate has a pin that goes into a recess on the camera body itself for the same purpose. The D850’s plate is different to all the other plates I have tried in that there is a strap loop on the L-section of the plate. All the other plates, including the eBay special have a strap loop at the base of the plate. In terms of security, only the eBay bracket has stop nuts at the base of the arca-swiss dovetail slide. These can be removed, which I have done, if you would rather rely on the safety stop provided by most arca-swiss clamps. All of the plates recesses worked with the safety pins used by Sirui, hence the reason I removed the safety nuts in the first place from my eBay version. Using the Sirui plates on both the D800 and D850 was an absolute pleasure. They didn’t jam, they didn’t get in the way, they just worked the way they were supposed to. Both had a very minimal profile impact, with the D800’s plate in particular having little change at all in the space that the camera takes up in the bag. Not so, when using my older Kirk plate which sticks out a good 6mm or more on the side compared to the Sirui. Similarly, the eBay special sticks out 3mm more than the Sirui does on the D850. In terms of weight, the Sirui TY-D800L comes I at 79grams compared to the Kirk’s 112grams. The Sirui’s TY-D850L is somewhat heavier at 115grams compared to the eBay special at 99grams. Finally, there’s the price. Sirui is not cheap by any measure. The TY-D850L comes in at R2195 and the TY-D800L at R1595. This is still two-thirds of the price of the Kirk plates though. Yes, it is more expensive than ordering a generic from eBay, but there are good reasons why ordering from eBay is not always going to be a good idea. The Kirk L-plate for the Nikon D800. Notice how far out the L section extends from the body. 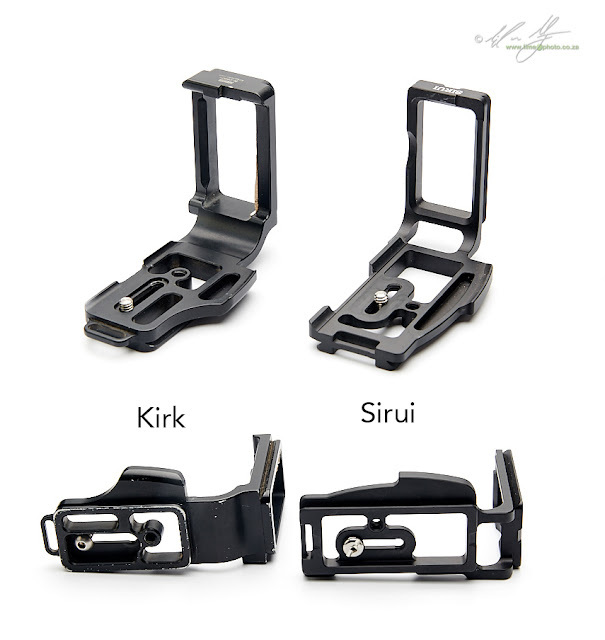 Kirk and Sirui plates for the Nikon D800. Both have inserts cut out to reduce weight. The Sirui is lighter than the Kirk. 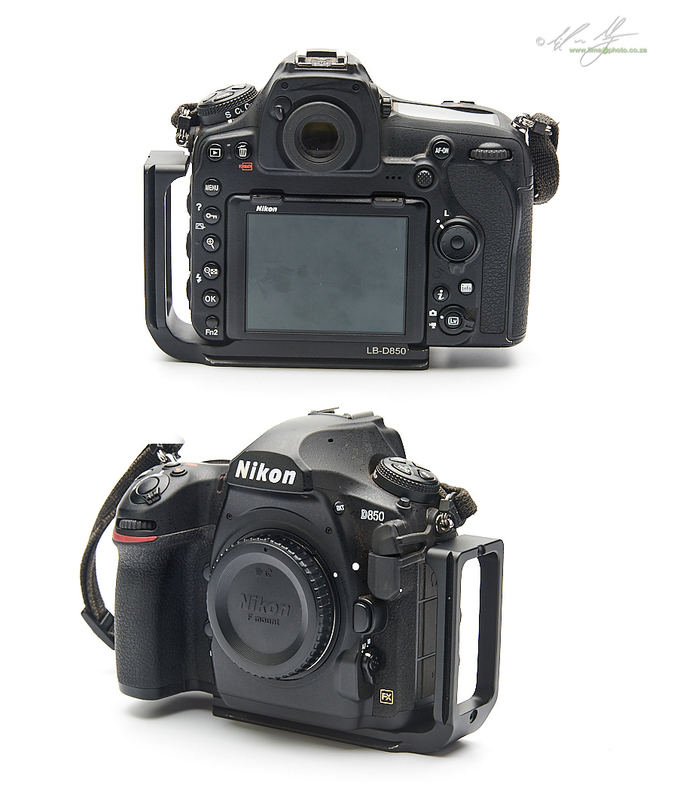 The Sirui L-plate for the Nikon D800. It has a nice compact form factor on the camera, but does lack the optical path indicator that the Kirk has. Actually no, it’s not. Many photographers will think it’s daft to go into this kind of detail around a ‘bit of metal’. However, when you are striving to achieve the very best out of your imagery, equipment that assists in this endeavour can make a real difference in achieving it or not. If I am photographing a long exposure in the vertical format, I want to know that the L-bracket is rigid, that the slight vibration caused by the shutter is not going to translate into camera shake and a softening of micro-contrast in the final image. I want to know that if I sling the camera and tripod over my shoulder to negotiate a boulder, the plate, head or tripod won’t fail and send the camera hurtling onto the hard ground. I want to know that when I am changing position quickly that the finish on the metal doesn’t cause the plate to jam in the clamp that I am using. I want to know that the plate has been properly designed so that if the camera is at an odd angle, the body doesn’t start to slip on the plate, but is held almost as if it were part of the camera body itself (non-L-plate users will no doubt have experienced this at some point when shooting vertical and discovering that the camera slides downward during the exposure). Of the L-plates that I have used, my absolute favourite has been the Sirui TY-D800L. I own the more expensive Kirk, and I prefer the Sirui. It is lighter and has a smaller profile than the Kirk, meaning that it maximises on the benefits and minimises the downsides of using an L-plate. If I have one gripe about the Sirui’s, it is that the plate does not have a marking to indicate where the optical centre of the lens is. Only the Kirk and the RRS have this. This is a serious oversight in my opinion. It’s not an oversight I am prepared to pay a thousand Rand for though. I am not as sold on the Sirui TY-D850L as I am on the D800 version. It is better than the eBay special in every way except weight, however it just doesn’t have the refinement of the D800 version. I have not had the opportunity to try the Kirk version of the L-bracket, so cannot authoritatively recommend a plate for the D850, but comparing the eBay version with the Sirui, it wouldn’t be hard to warn against wasting money on the generic plate. The extra thousand Rand that the Kirk costs nets you optical centre markings and a special recess which holds an Allen-key. Whether that is worth the extra cost is up to the individual photographer. In general I have to say that I have been thoroughly impressed with the L-plates offered by Sirui. As mentioned above, they are not the cheapest on the market, but offer the same reliability and factory finish as the more revered brands, but at a significantly lower cost. I have already pointed out that the L-bracket is an invaluable piece off equipment for the work that I do. So much so that I also own the Sirui TY-XT1L bracket for the Fujifilm XT-1. The added advantage of this bracket is that it's modular in that the L portion can be removed, (it also has an added grip which I personally feel improves the handling of the camera, but that’s a personal preference). Danny Lenihan’s piece against buying from the likes of eBay is justified to a certain extent. Some of it I agree with and some of it is downright sophist in its reasoning. However, I firmly believe that you get what you pay for. Part of what you are paying for is no longer the quality and use of the tool, but rather where it comes from; who manufactures it. Not for any sense of its ability, but rather brand conscientiousness if you will. Sirui, in my opinion, are priced at an honest price level. I trust the equipment that they produce; they have enough of an international reputation now that their factories are not sweat-shops, and the products that they produce are of a superior quality. 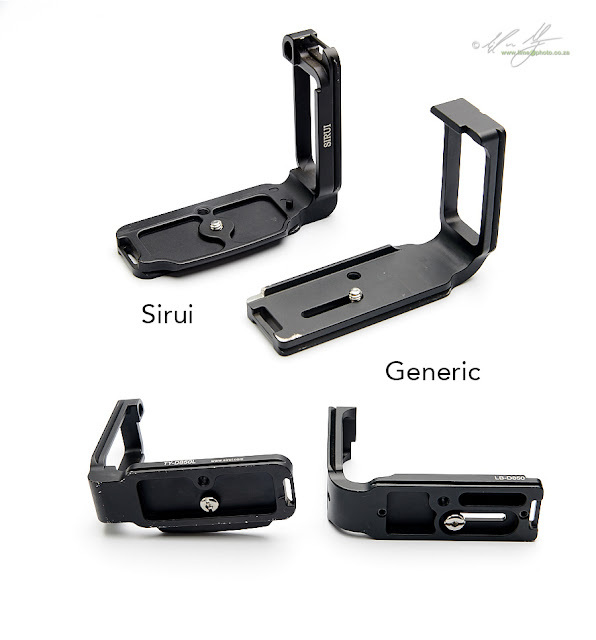 I would have no qualms using a Sirui L-bracket on any of my cameras, and when faced with the decision between one of the premium brands and Sirui’s L-brackets, I feel that the Sirui’s are as good as, and in some cases better than the more expensive competition. 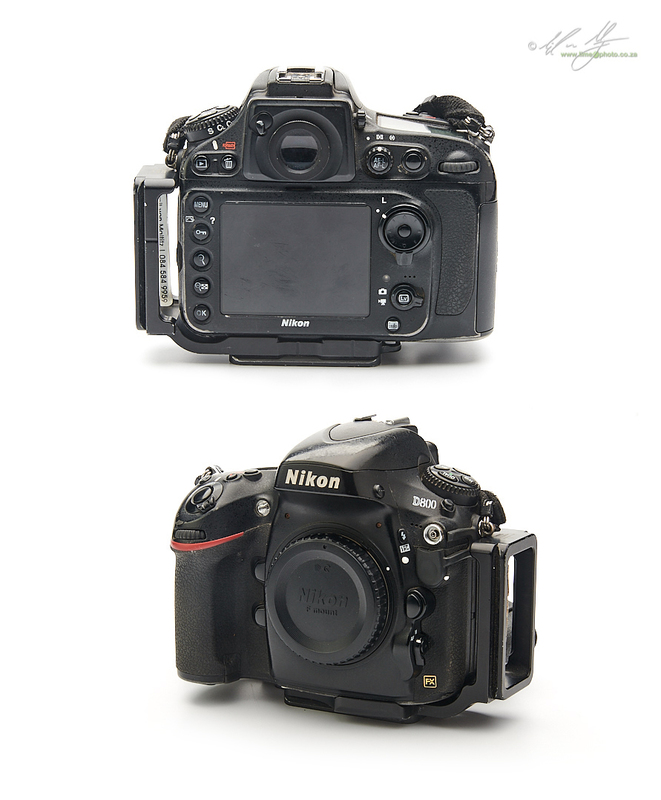 The Sirui and eBay 'special' plates for the D850 compared. Note the notch that I had to file off the end of the generic plate in order for it to fit the D850 body properly. The generic (modelled of the Sunwayfoto version I believe) L-plate for the Nikon D850. In the top image you can see the small notch (at the bottom right end of the base section near the '0' of D850) I had to file away so that the plate didn't damage the tilting LCD screen.